John Wilbanks, Ron Combs and Brian Kempf. If you are a tree lover, home gardener, professional landscaper or tree pruner who would like to learn more about the proper selection, planting and care of your trees, please join us. We will teach you the latest techniques in caring for your trees so they will thrive for generations. Contact Melissa Iger at 661-325-6650 or treeinfo@urbanforest.org to sign up or for more information. 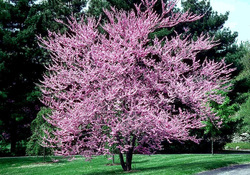 You may also go to our website at www.urbanforest.org, click on Citizen Forester and sign up there.